Moving2Madrid - How to obtain your Spain Health Insurance Card? You just moved to Madrid, or will be relocating soon to Spain, and have a Spanish job. You are then entitled to the same health care and insurance as all other Spaniards. One thing is missing though: you do not still have this precious official card which gives you access to the entire Madrid health system, without anyone asking “where do you come from?”. To prove you pay social security taxes in Spain, you need to show a proof that you have a social security number. This is called a “Documento de Afiliación a la Seguridad social“. You got this when you first got your social security number. If you do not have a social security number, read my post about how to get this essential number. And also check if in fact you have the right to health care in Spain. In a nutshell, if you don’t pay for anything in Europe, if you don’t pay any kind of social security tax in Europe, well then you are not entitled to get anything. You get what you pay to sum up ! If you know you have one, but lost this document, you can get a new “Documento de Afiliación”, by going to the closest “Tesorería de la Seguridad Social” – complete list here – and asking for one with your ID. Then, you have to obtain un “Certificado de empadronamiento”, nicknamed “Padrón“– it means “local registration” and demostrates that you are living officially in such neighbourhood of Madrid. This will enable them to define to which “centros de salud” or “health centers” you should be asignated to. To obtain a padrón, follow my step by step guide. Find where is the nearest “Centro de Salud” or “health center”. This is the typical question you can ask to a neighbour to practice your Spanish, or you can just have a look at this official Madrid site to find your Centro de Salud. Your “Padrón”, proof that you belong to this Centro de Salud. Your job contract and last salary, just in case – some ask for it for confirmation. The administrative people at the Centro de Salud will then give you a paper stating that you are officially entitled to use this Centro de Salud. You will then receive the blue madrid card I showed you at the start of the post by the post. 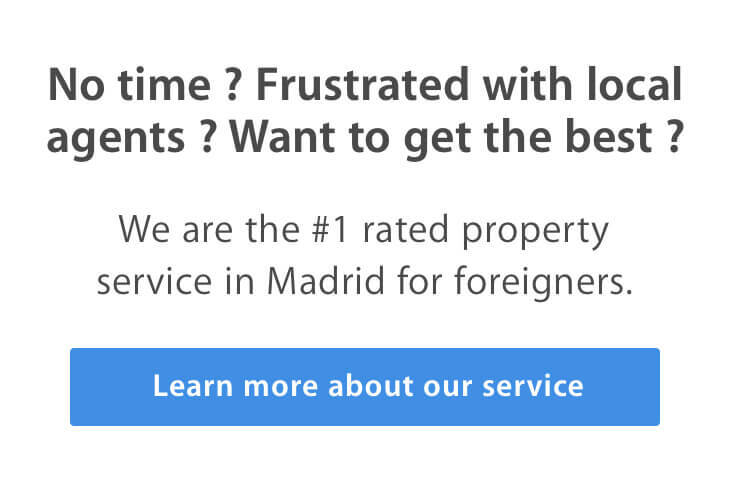 If you need help to move to Madrid without stress nor time wasted, do not hesitate to contact us for a consultation ! Hi there ! Do follow the steps above and tell us how it goes ! good luck ! I bring my husband thru agrupacion familiar,been here for 4 mos,got a job n the owner/ boss was asking him for tarjeta sanitaria. How do i get it for him..
You shouldn’t need your NIE number to see the specialist once you have your Social Security and you’re registered in the system, especially if you’ve been referred by a GP from your Centro de Salud. If you have any doubts, you could always ring the specialist’s office just to make sure. It might help to put your mind at ease. You need your own tarjeta sanitaria ! Even if your husband gives you the right to have one, I know for sure it is personal. Same for children in fact ! I just want to ask if what is the best thing to do. I just move here in Madrid last Aug. 2014. After marrying an EU national. Now My tarjeta de residencia is in the process. But I already got my NIE. I’m pregnant now . Am I carried by my husband in his tarjeta de sanitaria? So I can have my regular check up. Or I still need to apply for it? Thank you so much. Hoping for your reply.. It depends greatly on your situation. Do contact Tom Leacy at http://spainwide.com/ for a free consultation on our behalf ! I am working in Madrid since 10 months ( Spanish work permit card). I have to renewal my card in March. Can you please tell me the steps thats needs to be followed to renew the card? Agencia INSS (I dont why ) but yesterday i went with one of my Spanish friend, so problem solved. Steps in your blog is so perfect. Thanks so much for detailed description! for social security number. Can you please explain me on what to do?